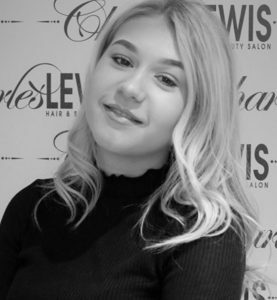 Libby has worked at Charles Lewis since 2014. She joined the team on Saturdays while still at School. Libby is now a full time apprentice studying her Level 2 Hairdressing at college. She is very passionate about the industry & excited to have her own clientele. Libby enjoys meeting up with friends and family in her spare time.